Today, 28 February, the Hotel Ritz Madrid is closing its doors for a while. Its owner, the hotel group Mandarin Oriental, wants to undertake an ambitious renovation which will deprive Madrid of part of its social and cultural life for a few months. December 2019 is the deadline that has been given for equipping the hotel with even more luxury services. These include an indoor pool underneath the famous and wonderful gardens of the Ritz and the restoration of emblematic features such as the glass roof, which occupied the centre of the building when it was inaugurated. We have been able to enjoy and share great moments in this grand hotel over many years. Since ACHE Azafatas’s beginnings back in 1999, the Hotel Ritz Madrid has been one of the main locations chosen by our clients for holding their events. We still remember one of our first events. An YPO Convention that lasted 10 days and at which we were literally enclosed in the hotel managing rooms, the accompanying persons programme, activities and dinners. It was a real experience and we learned from the best. We were incredibly lucky! That year we also had on the Ritz’s wonderful terrace disc and gold disc presentations, such as that given to Alejandro Sanz… what memories! The Ritz has history. The history of Madrid. The history of Spain. The history of everyone who has stayed here and experienced it like their home. The history of everyone who has been part of it and the history of people like us who have participated sporadically in its experience. But beyond its fame, the Ritz has the ability to make you dream. It can transport you to past times, with its exquisite and luxurious furniture and its outstanding personal service and etiquette. Many events have been held in its facilities, from business conferences to weddings, record presentations to book launches… everything you could imagine, and they have always been a success. We want these words to serve as a tribute and appreciation to such an iconic place like the Ritz. We hope to soon be able to share new experiences and discover the new look which we are sure will leave intact the essence of this grand hotel and make it even grander. 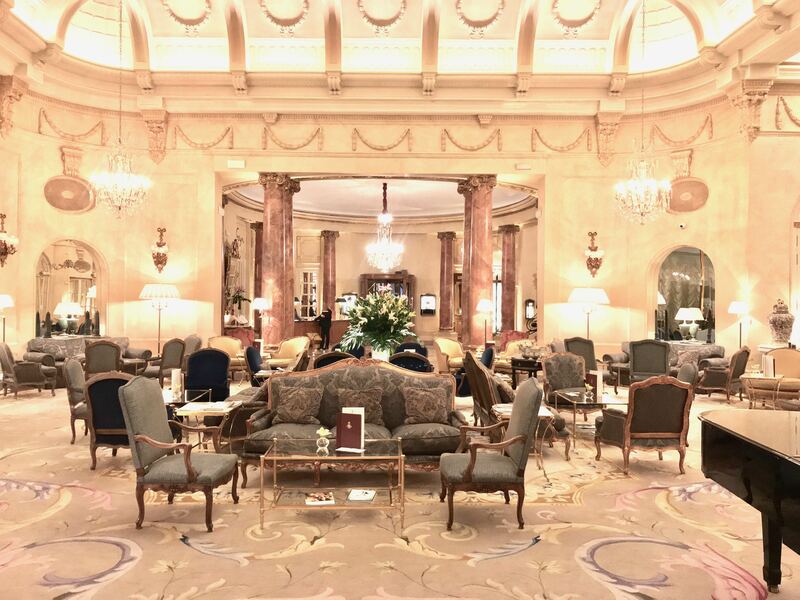 If you have worked at any event in the Ritz do not hesitate to share your experiences with us.